Winner of the Pulitzer Prize for Literature, Margaret Mitchell's great novel of the South is one of the most popular books ever written. 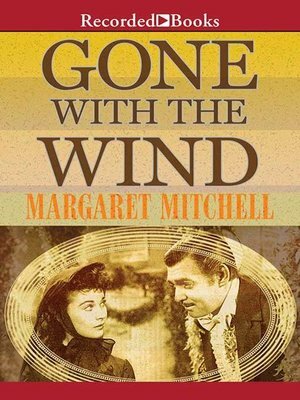 Within six months of its publication in 1936, Gone With the Wind had sold a million copies. To date, it has been translated into 25 languages, and more than 28 million copies have been sold. Here are the characters that have become symbols of passion and desire: darkly handsome Rhett Butler and flirtatious Scarlett O'Hara. Behind them stand their gentler counterparts: Ashley Wilkes and Melanie Hamilton. As the lives and affairs of these absorbing characters play out against the tumult of the Civil War, Gone With the Wind reaches dramatic heights that have swept generations of fans off their feet. Having lived in Atlanta for many years, narrator Linda Stephens has an authentic ear for the dialects of that region. Get ready to hear Gone With the Wind exactly as it was written: every word beautifully captured in a spectacular unabridged audio production.